After a really pleasant stay at Seoul, we arrived at Wujiang. I had already good memories of this location, where I won the master event in 2012 and WC stage in 2013. But honestly, I didn't feel any expectations or pressure to repeat this. I really just wanted to climb and enjoy as I do in the moment. Qualifications went quite well. I fell (again) from the top on the first route and finished the second. In the semifinal I finished 2nd, by reaching the upper part still fresh, but missed a good part of big hold. 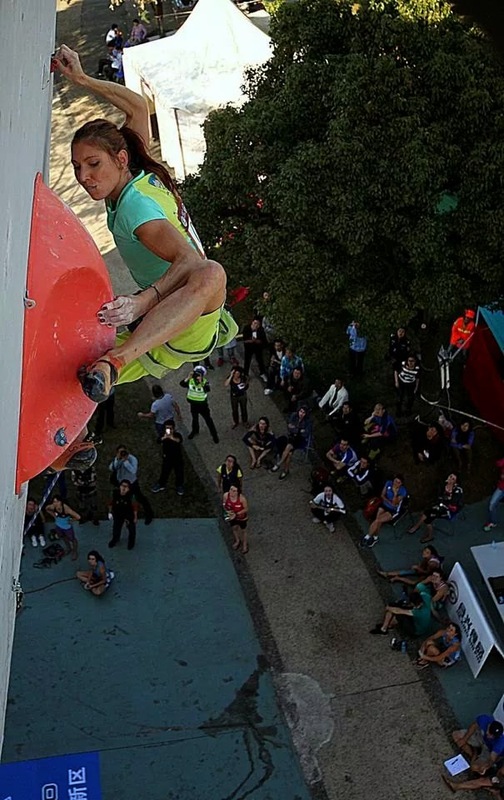 Maja Vidmar definitely showed in this route, what it means to climb well and went with the lead going into the finals. After observation of final, I was quite worried about the route. This is not really common to me. Usually I feel excitement and just want to climb. Well, I tried to be relaxed, because last week I had a bit similar expectations, but it turned, that I was wrong. Well, this time, I wasn't wrong. From start, I had to try hard and fight on almost every move. The beginning was technical, slabby and cruxy, but (for me) it also offered a solid rest point(s) where I could took a deep breath, recover properly and continue into next hard section(s). I regret that more than above 1/3 of route was still left untouched and I couldn't enjoy it. 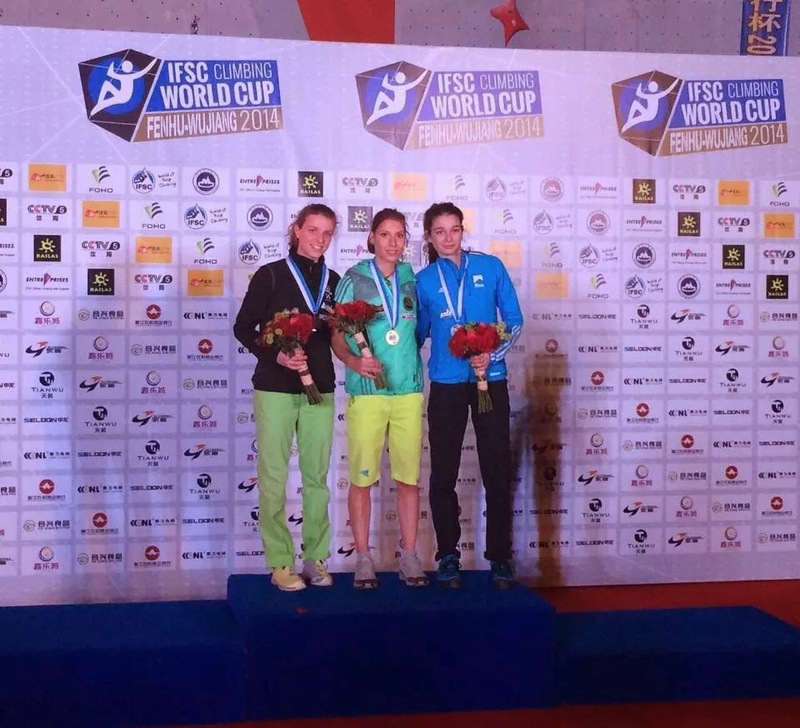 But even so, I was satisfied with my climbing and happy about the 2nd gold in a row. The next comp is coming up next weekend in Inzai, Japan. Honestly, all I want is to keep those good feelings in me and rnjoy climbing, no matter of what happens there. For another couple of days, we are staying in China, train, rest, relax, explore and have good time with my team and the other teams.